Prof. M. Adil Khan, has been working as an adjunct staff at the School of Social Sciences, since 2010. Prior to taking up the adjinct position at the School, he worked as Chief of Socio-Economic Governance and Management Branch of the Division for Public Administration and Development Management, the United Nations Department of Economic and Social Affairs (UNDESA), New York. Prof. Khan retired from the United Nations in 2008. Prof. Khan possesses more than 35 years of working experience in international development - his varied job experiences in 'development' include but not limited to public policy manager the planning ministry of Bangladesh (1973-1988), consultancies for international aid agencies such as the World Bank, the Asian Development Bank and the United Nations (1988-1994), research director on sustainable development at the University of Queensland (1994-1997), senior development advisor of UN in Myanmar and Sri Lanka (1997-2002) and senior policy manager at the Department of Economic and Social Affairs, United Nations HQs.His core expertise includes but not limited to public policy, pro-poor development and participatory governance. Prof Khan has been a guest lecturer at Harvard Kennedy School (2006), University of Pennsylvania (2007), and University of Ottawa (2012). He also served as a visiting professor at the Kyung Hee University, Seoul, Korea where he introduced and taught the graduate certificate course on "Global Governance and national challenges: a UN perspective". For his unique management initiatives at the United Nations, Prof Khan was awarded the UN Manager of the Year Award in 2005 and for his pioneering work on participatory governance a Plaque of Recognition by the UN Committee of Experts on Public Administration in New York, in 2008. Prof Khan is married to Yasmin and they have no children. His hobbies include cooking, reading, writing and music. Prof. Khan's research work has left lasting impact on many developing countries. For example his works on monitoring and evaluation of development project has helped the Government of Sri Lanka to establish a results based monitoring and evaluation systen for its development projects, within the entire government. His pioneering work on participatory governance at the UN that has included his principal authorship of the 2008 UN World Public Sector Report, "People Matter: Civic Engagement in Public Governance" that describes and analyses global experiences participation based governance structures and processes and their relevance to implementation of equitable and sustainable development. The report is a frequently cited document in research and capacity building in participatory governance. For his pioneering work on participatory governance at the at the UN, Professor Khan was awarded a plaque of recognition by the UN Committee of Experts on Public Administration at the UN HQs in 2008. 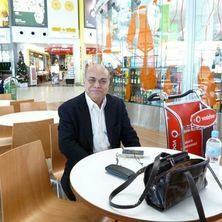 One important aspect of Prof. Kaan's research is that he combines theory with practice and since joining the University of Queensland supervised (and contuing) a significant number of RHD and MDP students in areas of poverty and microcredit, community based climate change adaptation, migration and social cost and corruption, . He has also published extensively on development issues . Walters, Peter, Khan, M. Adil and Ashan, M. Kamrul (2014). Access to knowledge as prelude to a right to the city for the urban poor in Rajshahi, Bangladesh. In: Carlos Andrés Abate and Jorge Leonardo Karol, UPE11: Steering urban transformations. A debate on directions, orientations, strategies and polices that shape our (next) cities. Proceedings. UPE11: 11th Symposium of International Urban Planning and Environment Association - IUPEA; 1st IUPEA Symposium in Latin America, La Plata, Buenos Aires, Argentina, (1191-1199). 16-19 September, 2014. Khan, M. Adil (2011). Climate change, vulnerabilities and South Asia: issues, challenges and options. In Moazzem Hossain and Eliyathamby Selvanathan (Ed. ), Climate change and growth in Asia (pp. 147-176) United Kingdom: Edward Elgar Publishing. People Matter: Civic Engagement in Public Governance. Edited by M. Adil Khan, Jacinto De Vera, Mary Christine Ong-Reyes and Lilian Haney New York , NY,: United Nations, 2008. Khan, M. Adil Economic development, poverty alleviation and governance : the Asian experience. Aldershot, England: Avebury, 1996. Khan, M. Adil and Hussain, Munshi Israil (2017). The emerging phenomenon of post-globalized South-South migration: in search of a theoretical framework. In Patricia Short, Moazzem Hossain and M. Adil Khan (Ed. ), South-South Migration: Emerging Patterns, Opportunities and Risks (pp. 11-33) London, United Kingdom: Routledge. Adil Khan, M. (2015) Climate change vulnerabilities of south asia and future options: A governance perspective. Global Social Policy, 10 1: 12-15. How can microfinance contribute to the lives of disabled people in Bangladesh?